When I travelled to Italy earlier this year, I visited Novelli. Novelli is a little pen shop located at Via di S. Marcello, 21, 00187 Roma. In addition to buying my first Italian fountain pen - the Viscont Van Gogh Starry Night, I’ve also got a Lubinski 2 ciar holder. No, I do not smoke. I got that on a whim, with the intention to using it as a pen case. 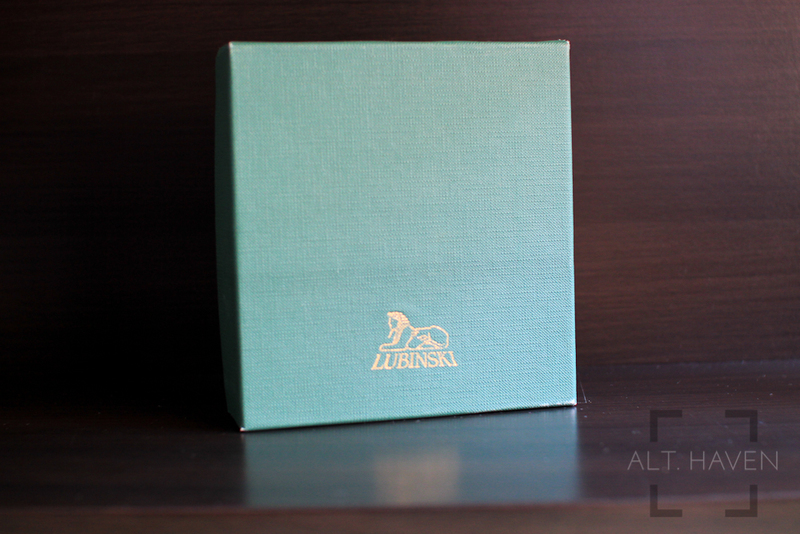 The Lubinski cigar holder is made of black leather, though it comes in various different colours and sizes. The holder is made of two different pieces. The top being the cover and the bottom being the holder. I’ve opted for the 2 section option since I found the larger ones too big and bulky. The holder that I’ve purchased stands at only 130mm tall, but the cover stretches down more than pass the midway point of the holder. My Franklin Christoph Model 66 desk pen (158mm capped) can fit into the holder easily. The diameter of each section isn’t very large but my TWSBI fountain pens fit into the section with no problems. The cover slides off easily enough with a slight tug. However, holding it upside down doesn’t cause the cover to fall off on its own. The leather isn’t very thick but when closed the holder has two layers of leather protecting the pens from accidental bumps and drops. The stitching around the holder are nicely done and the sides are heat embossed together. The sections inside are shaped rounded to fit a cigar but it takes a fountain pen just as easily. There isn’t any stitching or leather that separates the two sections. Technically pens inside can knock against each other but in reality I haven’t had that happened. I tend to rotate the pen such that the pen clips face each other so that they fit better in their respective sections. Inside the sections, the leather isn’t totally smooth but I haven’t had any pen scratched because of that. I’ve been using this holder on and off for a few months since I got back from Italy. It has held up well being tossed around in my bag. Many different types of holders can double up as a pen case. What other cases have found themselves used not as intended?